The Flatirons are the striking, slanted, reddish-brown sandstone formations that make up a portion of Boulder’s foothills on the west side of town. 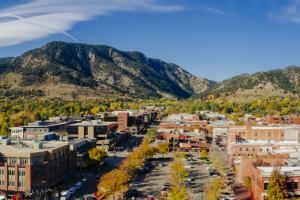 They are Boulder’s most iconic landmark, and you’ll see their likeness in business logos and artwork throughout town. Whether frosted with snow, cloaked in fog, or glowing warm and red under sunny skies, the Flatirons offer the quintessential Boulder view. Once you snap a few shots of them from afar, head toward the foothills to explore them up close. 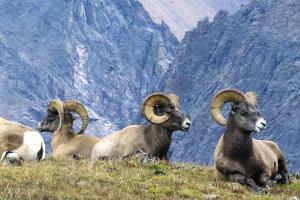 You can help protect their natural beauty by remembering these Mountain Manners. Plenty of trails will take you around and up to the Flatirons, and many of them start from the Chautauqua Trailhead, off Baseline Road. Please allow adequate time for parking, as this can be very a busy area. Stop at the Ranger Cottage for a trail map and to find out about any closures, then climb the steps to the trailhead junction. For an easy-to-moderate hike, take the two-mile Flatiron Loop Trail, winding through the forest beneath the Flatirons. Or up the ante by continuing along the strenuous, three-mile Royal Arch Trail, which ends at a natural rock arch with awe-inspiring views of Boulder and its surroundings. Another option is the hike to Woods Quarry, where you’ll get a view into the site of a historic sandstone quarry, plus enjoy a spectacular view from the stone benches that were assembled by some industrious visitors. These trails travel through ponderosa pine forest, over rocky scree fields, and across open fields, offering various views of the Flatirons and Boulder along the way. The best way to get up close and personal with the Flatirons? Climb them! The First and Third Flatirons offer some of the most popular multi-pitch rock climbing routes in the area (and country!). The trail to the First Flatiron climbing access can be challenging, but you’ll be rewarded with long, varied climbs that range from about 4-10 pitches. The popular Third Flatiron, which offers even more routes, is usually closed to climbers and hikers from early February to late July to protect nesting raptors. Over the years, climbers have scaled the Third Flatiron while wearing roller skates, under the full moon without headlamps, and even while completely naked! But maybe save that for your next trip. Not feeling up to a hike or climb? You can still get your fill of the Flatirons — while filling your belly. Pack a picnic (we recommend buying your provisions at the Boulder Farmers’ Market on Wednesday evening or Saturday morning) and spread out a blanket on the grassy lawn at Chautauqua Park. This is the perfect spot to enjoy a meal under the Flatirons while watching the never-ending parade of people (and their pooches) heading up the hill for a hike. Afterward, you can hit the tennis courts, take the kids for a spin around the playground or catch a show at Chautauqua Auditorium. 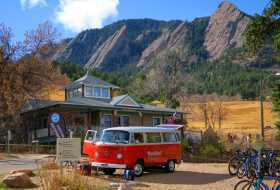 Headed to the Chautauqua area on the weekend to hike among the Flatirons? Ride the free weekend shuttle, a short, 10-minute-or-so-ride, to get there stress-free and avoid parking fees. Here&apos;s all the information on the Park-to-Park hiker shuttle. These geologic formations are nearly 300 million years old. Although we know them today as “the Flatirons,” in the early 1900s they were called the “Chautauqua Slabs” or “The Crags.” When pioneer women said they thought the rocks looked like flat, metal irons used to iron their clothes, the name “Flatirons” stuck. There are five numbered Flatirons, which run north to south along the eastern slope of Green Mountain in Southwest Boulder. These are what people usually mean when they refer collectively to “The Flatirons,” though you can also include numerous other named formations, such as the Seal, Devil’s Thumb, the Flying Flatiron and the Matron. Sharp eyes will see the huge letters “CU” (for the University of Colorado) near the top of the Third Flatirons. These were painted on the rock by two CU freshmen in 1949. The Ranger Cottage has a wealth of info for hikers, activities, and programs for kids, and a short but excellent guide to wildflowers you’ll spot along the trail. When the sun warms the area’s ponderosa pines, their bark can give off aromas resembling ice cream and chocolate. On most OSMP trails in this area, dogs must be on a hand-held leash at all times unless they meet the voice and sight control standard and display a City of Boulder Voice and Sight tag. Winter is the perfect time to hike the Flatirons. you won&apos;t need snowshoes, just hiking boots and possibly snow cleats (such as Yak Trax) for traction. 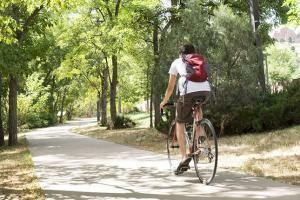 Great ideas for the perfect Boulder visit, on topics from arts to outdoors.